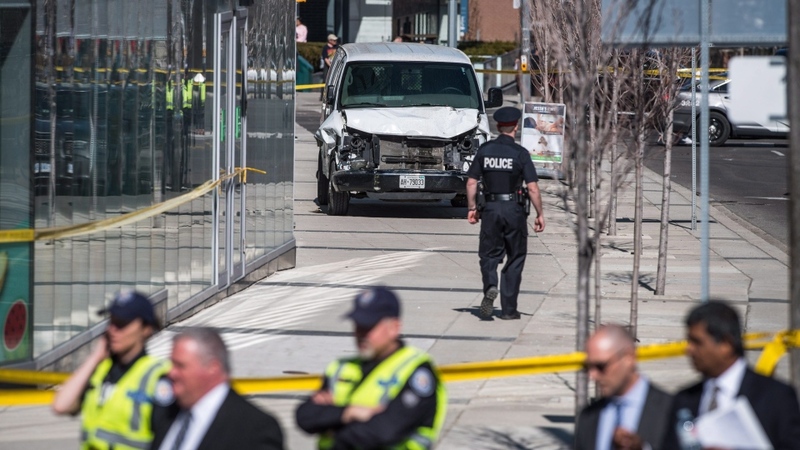 In the aftermath of the deadly van attack that killed 10 people and injured 14 others on a busy stretch of sidewalk in North Toronto, the city reacted by installing concrete barriers in areas with heavy foot traffic. The sidewalks around the transportation hub Union Station and the Rogers Centre stadium were loaded with barriers to separate pedestrians from vehicular traffic nearby. Despite the temporary measure, an urban designer says permanent solutions are necessary to create safer spaces in busy metropolitan areas such as Toronto. Claire Weisz, a principal-in-charge at architecture and urban planning firm WXY Studio in New York City, says cities have to find ways to separate fast-moving vehicles from people walking and biking in a way that doesn’t interfere with an area’s operation and beauty. “You don’t want to do anything [with] continuous concrete walls or really unattractive concrete barriers, that create reasons for people not to go out, enjoy their neighbourhoods, spend time around the subway, spend money at businesses,” she explained to CTV News Channel on Thursday. Instead, Weisz said city planners have been tasked with finding a delicate balance between neighbourhood safety and functionality. For example, New York City has had permanent barriers in Times Square and around the Barclays Center for years but they often go unnoticed because Weisz said they’re well designed. She said they were originally installed to prevent unnecessary pedestrian injury or death from out-of-control vehicles or accidents, not necessarily for intentional attacks. “New York City has had a number of attacks, but also New York City has had all too many accidents over the years that have also made them put up bollards [small metal columns], granite blocks,” she said. 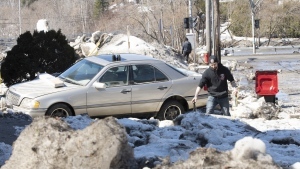 The city has also created neighbourhood slow zones with lower speed limits as an added precaution, Weisz said. Busy cities, such as Toronto and New York City, need to design spaces that separate walkers and cyclists from traffic without sacrificing an area’s attractiveness. On Wednesday, Jennifer Keesmaat, Toronto’s former chief planner, shared her ideas about how the city can protect pedestrians and cyclists. In a tweet, Keesmaat explained that the quickest way to separate bikers and pedestrians from vehicles was to “add a layer of on-street parking between the roadway and the cycling lane.” She also encouraged lowering speed limits in areas with heavy foot traffic. Additionally, Keesmaat shared photos of permanent structures with trees and flowers in them lining the sidewalks on Bloor Street and St. George Street and praised them for their ability to act as barriers between pedestrians and traffic in an innocuous way. “The more we separate space designed for cars in our cities from space designed for people, the better,” she wrote.